At some point in your life, you may have dreamed of taking an extended break. 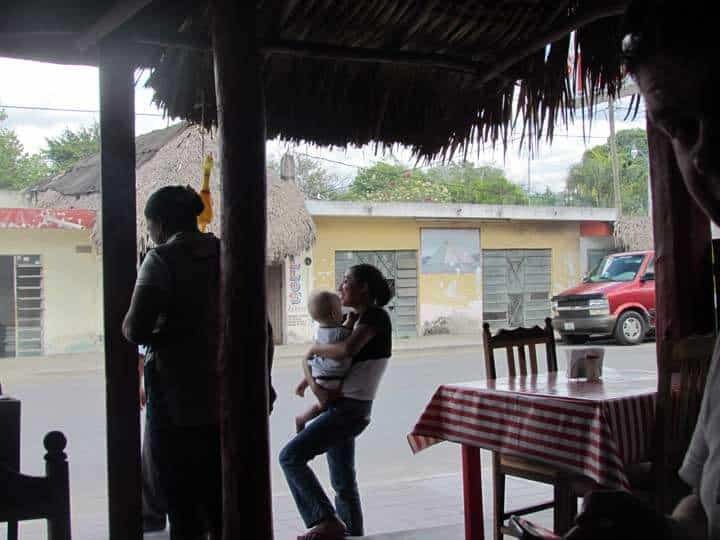 Renting a local beach house and learning Spanish with your kids in Costa Rica. Or spending months traversing Europe by train. Long-term travel allows for a richer experience, whereas short holidays barely touch the sides. I’ve circumnavigated the globe three times, always on a minuscule budget. Most recently, I returned from 15 months travelling from New Zealand to the U.S., Mexico then to Europe and North Africa with my husband and young son. Right now, I’m in the midst of planning for our next long-term adventure, with a new baby in the mix. 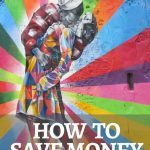 All this is to say, by now I have a good idea of how to pull together a travel budget to ensure maximum value for money. Long-term travel does involve a lot of planning, but budgeting for long-term travel isn’t as hard as it might seem. You have the same basic needs when you are travelling as you do at home. We budget a per day amount for accommodation, food and transport which can all be researched and planned for. 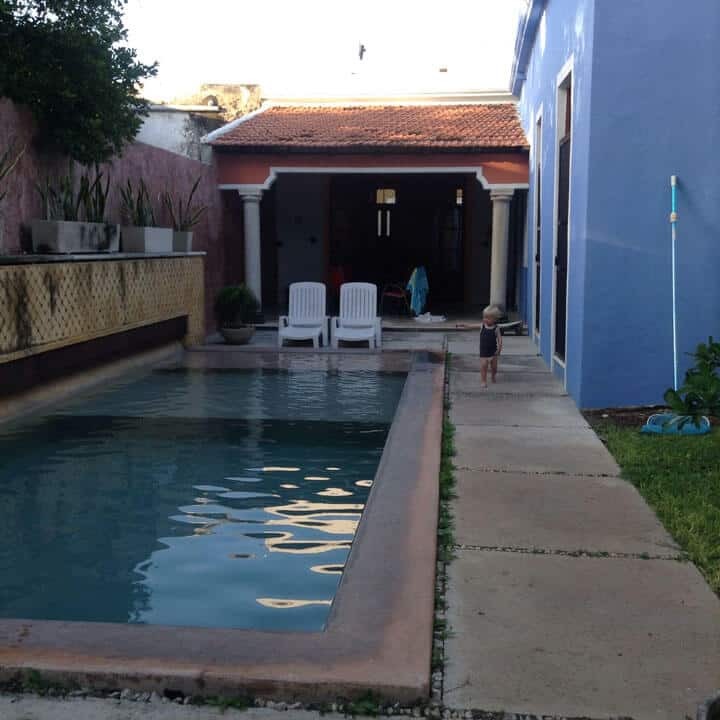 When we travelled as a couple to South America in 2011 we knew we could handle basic accommodation. It had to be clean but we didn’t need luxury. With that in mind, I focused on hostel booking sites such as hostelworld and hostelbookers to get an idea of prices. I then put together a rough estimate of per night accommodation costs for each country. We then knew what we could expect to pay online, and could usually secure a large discount on the price by booking directly with the hostel owner either by email or from just showing up and asking for a room. Now that we are a family we travel a little differently. We tend to rent apartments or houses so we can have a kitchen and somewhere to chill after the kids have gone to bed. This makes budgeting for travel even simpler, as we almost always stay for at least one month in order to secure monthly rates (often 50-70% cheaper than daily or weekly rates). We use Airbnb, Homeaway and VRBO to book long stay apartments and usually aim for a total monthly rate of around $1000 or less. After this is done I estimate a daily accommodation rate and then multiply it by the number of days we’ll be travelling. I like to check out the websites of local supermarkets (cause I’m a nerd). If you like to eat out a lot you’ll get a good indication of how much meals cost on travel forums. We usually eat out a few meals a week when we are travelling, but the majority of the time we cook at home as it’s easier with kids. When we do eat out its usually lunch at the local market or a small local restaurant. And street food, always street food. We usually eat at local restaurants when we travel. And we almost always find that the staff are happy to take the baby off our hands so we can eat our meal. In our experience cooking from scratch with the staples – fresh fruits, veggies, ground beef, stock, flour etc – is possible in most locations in the world, especially those with local markets. This means we can pretty much replicate what we eat at home when we are away without having to navigate new brands in each destination. Food is harder to estimate a daily spend for, so I try to work with a figure much like my weekly grocery spend at home. Then we allow for meals out on top of that grocery amount. Slow travel is becoming more and more popular as people move to more flexible online jobs or build their own businesses. Location independence is the ultimate goal for a lot of people these days. Travelling slowly also helps you keep your travel spend down. 3. You get cheaper accommodation! This is the biggie. Often private accommodation providers such as condo or apartment owners would prefer to secure a long-term booking at a discounted rate to avoid vacancy. Our apartment in Spain rented for up to €400 euro per/week yet we were able to secure a 5 month rental for only 592 per month. Yep, that’s right, paying for monthly rentals cost less than 2 weeks of rent. Don’t book too far ahead for flights, hotels or cruises. The beauty of slow travel is your ability to be flexible – this means you can react to an overspend by lying low for a while and stretching your funds. Or you can splurge on a last-minute cruise deal at 80% off. We were able to secure a bargain on balcony cabin on a Mediterranean Cruise by being flexible. We knew we wanted to do a cruise but we weren’t prepared to pay full price as our budget just couldn’t stretch to it. I subscribed to a bunch of emails from cruise providers and finally pounced just one month before our desired trip. We cruised from Spain to France, Italy and Tunisia before circling back to Spain. 7 days of pure luxury for under $200 per night. To counter spending that much (it was a bargain but still a big amount for us) I searched the surrounding area of the arrival port to find a budget apartment to spend the following weeks in. That’s how we ended up in a town we’d never heard of before which ultimately became one of our favourite destinations. I really struggle with not booking too far in advance because I feel like making a booking brings the trip to life. But, there are savings to be had if you show a bit of self-control and book last-minute. I only allow myself to book the first departing airfare in advance. After that, it’s all about the hustle to save cash. We budget a ‘fun’ amount each month that we can blow however we like. It’s this money we use for cruises and last-minute weekend jaunts. One thing I do book as soon as I have my airfare secured is book travel insurance with World Nomads. That way I’m protected if the airline cancels my fare or something happens in the lead up to the trip that means I can’t travel on the booked flight. Once we’ve pulled together all of the necessities and left an amount over for splashing out on last-minute trips including cruises we have a pretty solid travel budget in place. We then budget exactly the same we would at home. At the beginning of the month, I transfer our monthly allocation into either our travel account with our home bank or transfer to our European bank account using CurrencyFair if we are in Europe. We withdraw most of our funds in cash for spending, to keep currency conversion fees down (if using the credit card). We negotiated with the owner of our long stay apartment in Spain to pay rent monthly, just as a local would. Going to the bank to make the deposit each month was just another opportunity to practice our Spanish, plus it kept the budget on track. The one thing that really slowed down our spending when we were living in Spain was to track our spending. Now I track everything. It’s become a habit and I think it’s even more important to track spending when you’re travelling. I find it easier to reign in my spending in a new destination than I do at home. Simply because just leaving your front door is an adventure – and walking doesn’t cost a thing. We use YNAB for tracking our spending but lots of travel bloggers rave about Trail Wallet and I think we’ll make the switch on our next trip as it’s designed specifically for tracking your travel spend and handles multiple currencies. What if a disaster occurs? We have a $20,000 limit on our credit card which is enough to get us on last-minute flights if we ever need to. That’s about the extent of our travel emergency fund. A high credit card limit and good travel insurance. Travelling long-term can actually be cheaper than living your regular life at home. You can forecast almost all of your expenses before you even leave home, and react to overspends by lying low in a budget destination until your funds recover. It’s easy to keep costs down when you travel – even exploring the neighbourhood or having a picnic at a nearby park is fun when you are in new surroundings, plus they don’t cost much. By travelling slowly to cheaper destinations, you’ll be able to stretch your travel budget for longer and explore more of this amazing planet. Have you travelled long-term? Do you have any tips to share? Thx for this post. I gives a good idea on what planning for long time slow travel means. The longest travel we did was 3 weeks… and it was more fast travel. One time, we even used an agency to book everything for us, upfront. Our excuse to do so: it was our honeymoon. The other travels we did all ourselves. tt hose days, Airbnbwas not yet around. We hope to do a log slow travel with the kids in about 4-5 years, when they are older and will enjoy and remember it more. 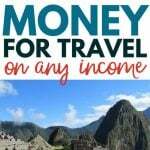 Very cool insight into your travel budgeting! We follow a similar approach. I usually price out Airbnb type rentals for a 1-2 week stay since we’re limited to summer time travel due to kids’ school calendar (but envious of your month long rental rates 🙂 ). So far we haven’t paid more than $500-600/wk and sometimes half that, and Mexico is obviously cheaper than developed world. This summer’s road trip is 3.5 weeks and basically $1000 or so for some airbnbs, some free hotel nights, and a few nights visiting family along the way. Add to that some restaurant meals and gas and that’s about it. I figure our grocery budget will be about the same as what we spend at home so hard to categorize as a “travel” expense (though in past travel budgets I’ve always included grocery spending then made a mental note we would save the $500 or so we would otherwise be spending back home). I wish we could drive to another country! But we are an island (well, 3 islands) at the bottom of the world so we must spend a lot on flights to get anywhere. I agree re categorising the grocery spend as travel money as you need to eat regardless. As for the months-long rentals, I’m yet to figure out how this plan will work with school. My eldest is due to start next year and I’m not sure I want to home school him. I’m hoping we can find a liberal school so we can still travel part of the year and he can have school time as well. We shall see. I was thinking the same thing with the online learning the government is talking about. I’m no fan of Hekia Parata but I was actually excited about this idea! I can see how it would work really well for our plans. Thanks for these tips, I am going to bookmark this! Not heard of that food site, sounds good. That pic of your little one is really cute!! Thankfully our eldest hasn’t yet started school but the issues you’ve mentioned do concern me. We’re planning to make the most of the time before he must start school (6 is compulsory in New Zealand, although most attend at 5). I’m researching options for liberal schools in our area, travelling for 3-4 weeks every year wouldn’t suit us as we want our kids to grow up knowing their Irish family and I just can’t travel that far for only 3 weeks. It’d be exhausting! I’m a dual citizen, I grew up in the US and my family still lives there. There are ways to get to know family overseas without spending months and months in a different country. You’ll make the choices that are best for your family; and your family is different than mine so your choices will be different too. But don’t think that the only thing that matters is physical proximity. I have to disagree here. For the little kids (well, mine anyway) spending hours playing with cousins all day, versus a once a fortnight Facetime just doesn’t compare. The worst thing with our locations (NZ & Ireland) is the time difference. It never suits for the kids to get on Skype/Facetime because in NZ we are 11-13 hours ahead so bedtime gets in the way. I think maintaining familiarity is much easier via technology, but establishing proper relationships from scratch is difficult. I desperately yearn for some slow travel, maybe with some fixed-term work for one or both husband and I. We are thinking we’ll do it when little is meant to be in Intermediate school, being back in time for high school. We should be mortgage free (well and truly) by then, and both very well set up in our careers… Here’s hoping I can persuade husband (who has “done” the work overseas / long-term travel thing before he met me) that its a good idea. Slowly chipping away. I was a wanderer for many years and my son was born in the uk. We travelled for another 9 months before returning to nz. There I bought a campervan and we travelled a lot around nz. When he was 9 we went back to the uk for 18 months. Towards the last few months I transitioned from one days paid work to 5 and moved into a community paying reasonable board. In wales he went to a welsh speaking school for a year. Then we travelled to morocco for 6 weeks before returning home. Wwoofing is a great way to teavel slowly and live local. There’s a budget friendly fee to join. Also in the uk I used a site called diggersanddreamers to source intentional communities. I had a very minimal budget. I really enjoyed reading this! I’ve wanted to do longer term travel, but just haven’t been able to figure it all out. This gives me some great tools to work with ~ thanks! Love your outlook – and suggestions! As a family of five (16, 13, and 8 year old kids) we just spend a mostly unplanned 4 months touring Europe. We had only budgeted for a month, as we thought we would have an overseas Visa and job by then. What saved our budget was petsitting through http://www.trustedhousesitters.com! We ended up with a total of 7 weeks of free accommodations in exchange for caring for someone’s pets and home while they were away. Often the last-minute sits were the best. (I can totally relate to wanting everything planned in advance, but last minute just kept on working out!) As a result, we had an amazing summer, spent time in wonderful communities, and got a real feel for some different European countries. That’s great to hear Gracie. I always thought it’d be tough to get a house sit with kids but you’ve inspired me to look into it again.